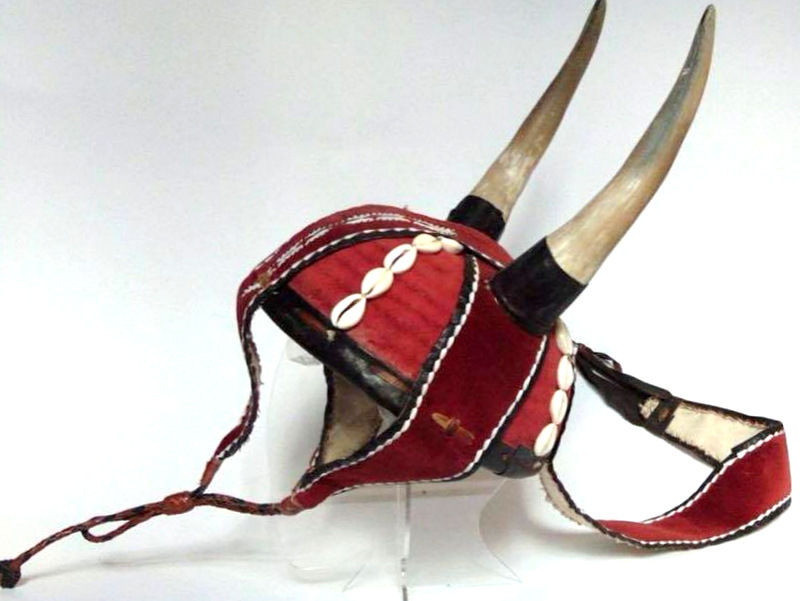 The mysterious helmet with ox horns is made by craftsmen of the Frafra ethnic group inhabiting the north west of Ghana, Africa. Curiously enough, the material used is the modern velvet fabric, laid on the leather base, but the very style is certainly very ancient. The helmet was designed for warfare with neighboring, not less warlike peoples, and therefore it has many protection features, including a special belt, safe guarding the face vertically. 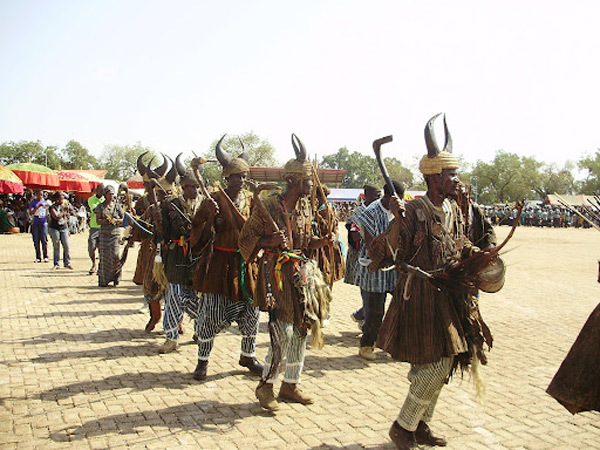 The horns in the pastoral tradition of the Sahelian region have always had a dual purpose and meaning: they were intimidating and used as a totem as well.